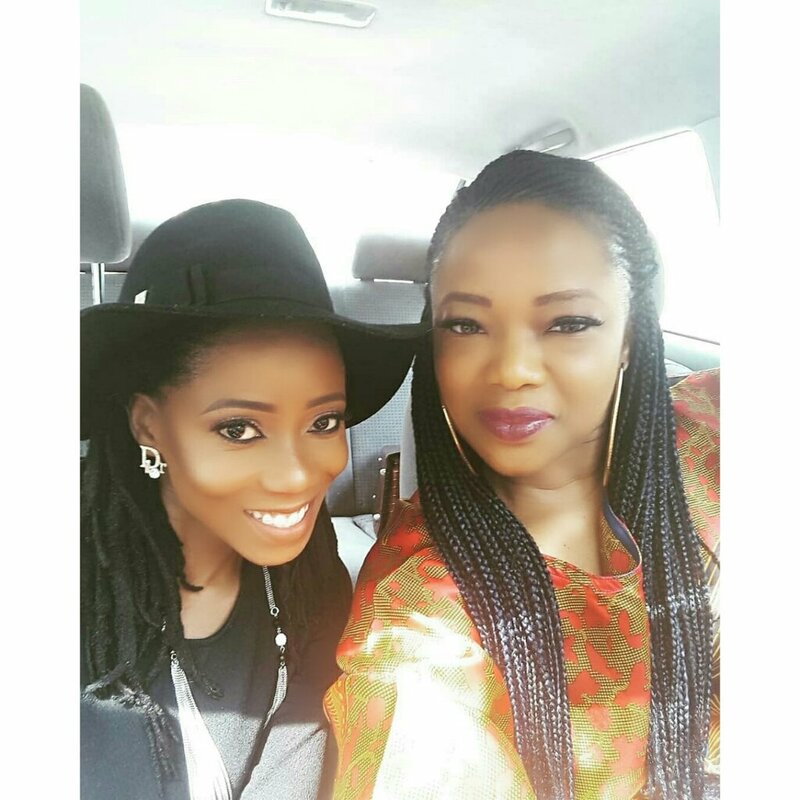 Tosyn Bucknor's Blog: #WhoISaw Selfies with Ayana! Last week I for some reason, decided Wednesday was a great day to walk everywhere. I walked to all my meetings for that day! Well, during one of my walks, look who i bumped into- Jibola who i call Jybbs or Ayana. Jybbs and I first met on Facebook when she saw my status looking for brands to partner with for my Jeans for Genes show. She was then the manager of Swe Bar, and from our first conversation, we became friends. I really love her because she has the best heart ever and I hope people remember to put her name anytime they talk about Entertainment in Naija.